Chesterfield fans flocked to the Proact Stadium on Saturday afternoon as the Spireites looked for another National League home win. 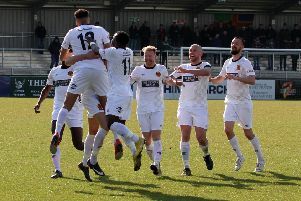 Dover Athletic were the visitors as Martin Allen’s men aimed for three vital points. Can you spot a familiar face among our gallery of photos of fans ahead of kick-off?